The gift will support two annual awards to Drexel LeBow PhD students for the best research papers in behavioral and economics related fields of study, as well as one award for outstanding teaching by a doctoral student. Today, Drexel LeBow enrolls 60 doctoral students who pursue either a PhD in business, with specialties in accounting, decision sciences, finance, marketing, organizational behavior or strategy; or a PhD in economics, with specializations in industrial organization, international trade, and macroeconomics. The program has awarded nearly 200 doctoral degrees since its inception. Its graduates are on the faculty at institutions such as University City London, Michigan State University and Villanova University. Dr. John J. Clark Outstanding PhD Economics Research Paper Award: Tom Zylkin, School of Economics. Zylkin’s research interests focus on armed conflict and trade policy. He holds a bachelor’s degree in mathematics and English from the University of Pennsylvania. Dr. John J. Clark Outstanding PhD Behavioral Research Paper Award: Johnna Capitano, Department of Management. Capitano’s research interests are in leadership style, decision making and risk assessment. She holds an MBA from UCLA and a bachelor’s degree from Drexel LeBow. Dr. John J. Clark and Dr. Margaret T. Clark Outstanding PhD Student Instructor Award: Jared Wilson, Department of Finance. Wilson teaches Introduction to Finance and the PhD Math Camp, and serves as a teaching assistant for classes on financial institutions, investment management and business forecasting. He holds bachelor’s degrees in business administration-finance and in economics from the University of Pittsburgh. John Clark received his PhD from New York University and served as chair and dean of the College of Business Administration at St. John’s University before becoming the Royal H. Gibson Sr. Professor of Business Administration and the director of Graduate Studies at Drexel, a position he held from 1969 to 1990. 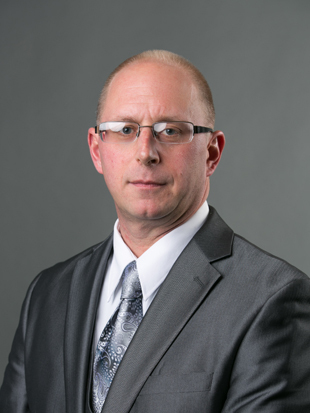 He also served as interim dean of Drexel’s business school. 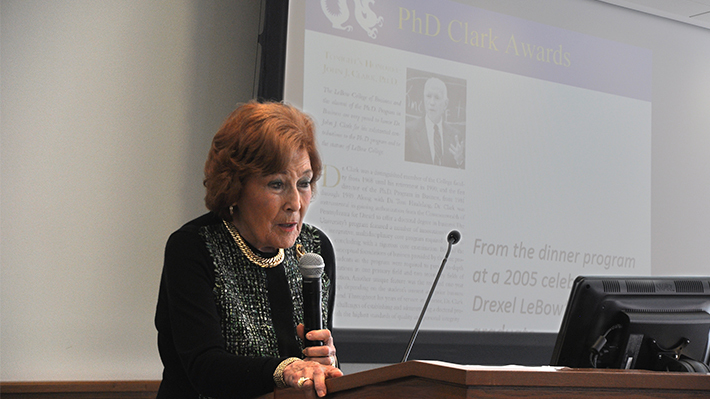 Margaret Clark received her PhD from New York University and was an economist at Mobil Oil and a professor of finance at Villanova University. Drexel LeBow’s PhD program develops successful academics who teach in well-regarded business programs across the country and regularly contribute research to a variety of academic journals. Drexel LeBow fully funds its doctoral students, an important investment for the College and University because it helps fulfill our mission to produce creative leaders for academia, government and industry.